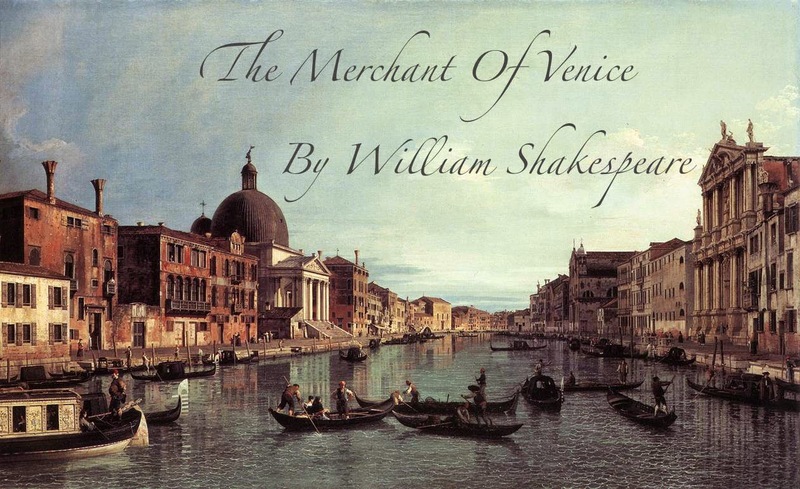 Despite his traditional attitude toward non-Christians, Shakespeare in "The Merchant of Venice" surpasses the norms of his time in his attempt to understand his enemy and to present him as a real human being. Through the conflict between Antonio -the Christian-and Shylock -the Jew- Shakespeare is able to portray an accurate image of society in his times; mainly the conflict between Christians and Jews. To fully realize the scope and importance of this literary achievement, one must know something about European society all that time. The Catholic priest and social critic Erasmus says: "If it is incumbent upon a good Christian to hate the Jews, then we are all good Christians." That was the attitude of the great majority of Christians in Europe at that time, and it is in this sense that Antonio is a good Christian. The rules and regulations made by the church, along with social circumstances in Europe, denied the Jews their right to work as farmers or in other professions except in money transactions and usury. The church also forced all Jews to wear badges like those worn by prostitutes and heretics, and profaned Christians from dealing in usury. Antonio clearly expresses this attitude by saying: "I neither lend nor borrow by taking nor by giving of excess". So Jews were set outside the legal and ethical frames of society as outcast capitalists. As a result, Jews flourished by dealing with Christian traders who started to depend more and more on usury in their business transactions. Thus, strange duality appeared: Jews's bad conditions as citizens on one hand, and their superior financial status that surpassed all other merchants in the 17th century on the other hand. After a while "Jew" became synonymous to "usurer" and the Jew's yellow badge became "a symbol for coins which identified the jews with Judas in the Christian mentality" as Polyakov says. Antonio in the play is a representative of these Christian bourgeois who appeared after the economical revolution in the 16th century. Loaning enterprises in Italian cities were established by these Christians determined to rid their cities of Jewish influence and drive them out of business. Ultimately, European bourgeois ended by integrating the utilitarian Jewish mentality and finally the practical Christian became a Jew. Its also worth noting that, in the 16th and 17th century, massacres and mass evacuations of Jews swept across Europe except in Italy, perhaps that is why the play's setting is in Italy instead of England. Shakespeare's true genius is seen in the character of Shylock, the man in whom Shakespeare drew a nation in all its pain, tradition and greed. The Jewish people started as wandering tribes, and Shakespeare noticed the strong affinity between nomadic life and trade. A shepherd working on breeding his flock is like a trader working on increasing his capital, for both sheep and money breed quickly. Having been persecuted by Christians for a long time, Jews came to realize that money is life itself. They had to buy their lives and security from kings and nobility, and in those conditions money acquired false sacredness to them. SHYLOCK: Nay, take my life and all, pardon not that. Jews learned from bloody experiences that coins can be easily hidden and moved quickly. They also learned that usury helps them avoid moving among hostile communities, so the person in need would have to go to the usurer's home instead. The Jewish character is the result of Jewish teachings that identifies wealth with blessing and poverty with damnation. Judaism emphasizes the sacredness of work and the virtue of frugality. Jews use scripture to support their way of life, disregarding all other warnings in the Old Testament against usury. The laws which forced the ghetto life on Jews allowed them to revive their nation. Inside the ghettos, they lived their lives according to their faith in all its ritualistic aspects. Separating themselves from Christians, forbidden to marry, to eat, or even to be buried with them. Mass genocides strengthened jewish ties and deepened their feeling of alienation. Judaism survived as a nation bond when the nation became a class. Inside the ghettos there was no financial competitions and no conflicts, because family and tribal bonds between Jews obliged them to help each other in financial crisis. Hegel noted "Every Jew held himself responsible for the mistakes of his community and he behaved accordingly." What was important in Judaism was not the immortality of the individual but rather the immortality of Jewish people. Shakespeare brilliantly shows this when Shylock says: "Cursed be my tribe if I forgive him."